A hot-blooded drunkard experiences the fire of the Holy Spirit that redeemed him and set him on a course of wielding God’s love to minister to others. Meet Pastor Myo Zaw; his wife, Shway; and their youngest son, Jacob. 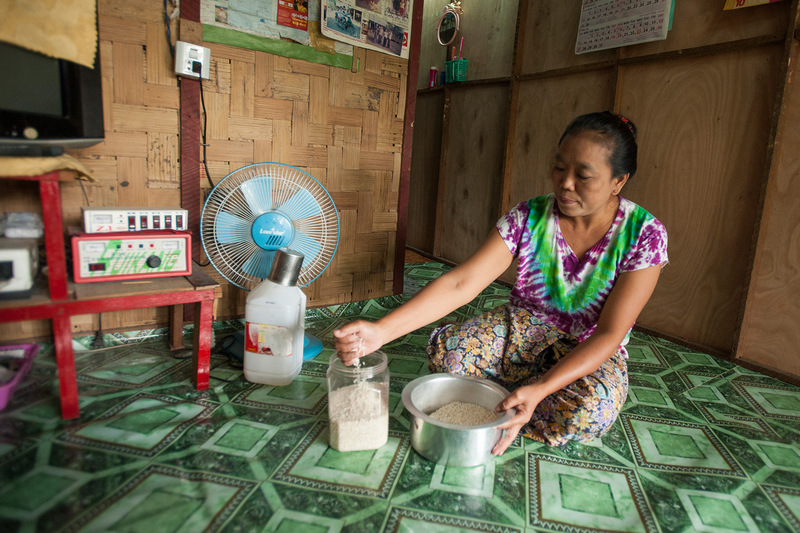 The region where Myo Zaw and his family live is comprised of many rivers and channels. 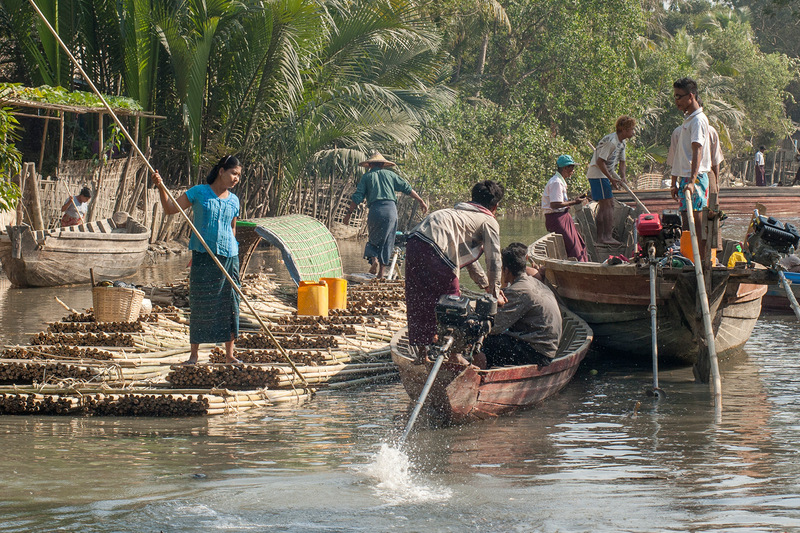 Boats, even bamboo rafts, are the main mode of transportation here. 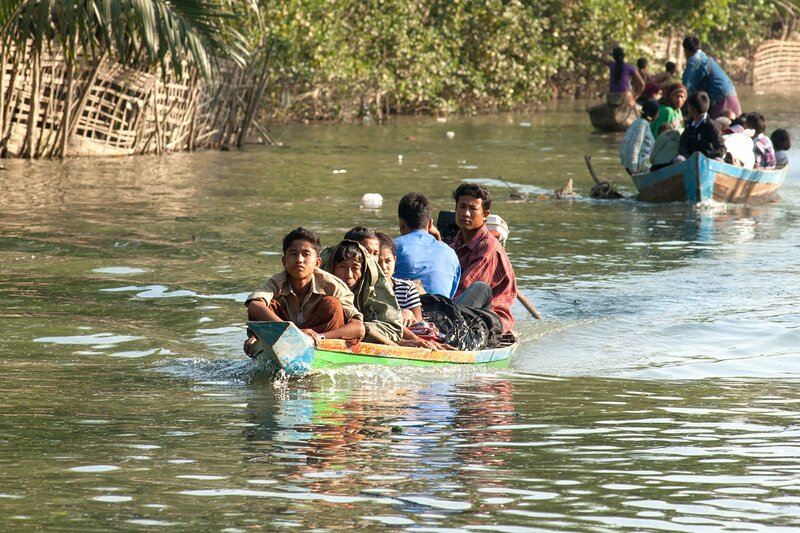 To get from village to village or to the nearest market, most people pile into a boat that will ferry them to where they want to go. 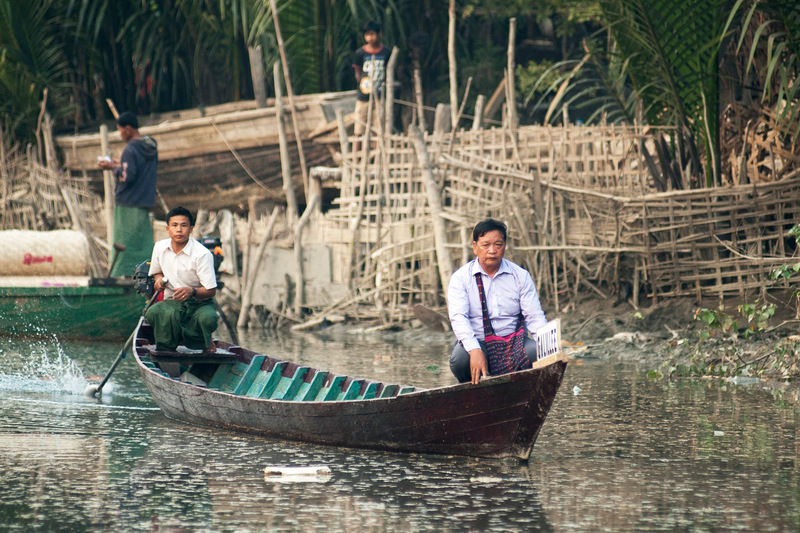 Myo Zaw has a boat of his own, which was given by a believer to use for his ministry. It’s named the Galilee Boat. The compassionate love of Christ leads Pastor Myo Zaw and his friend Nyein Shein to traverse the rivers almost every day in hopes of meeting people. The boat has created opportunities to talk with others navigating the rivers and to visit nearby villages. 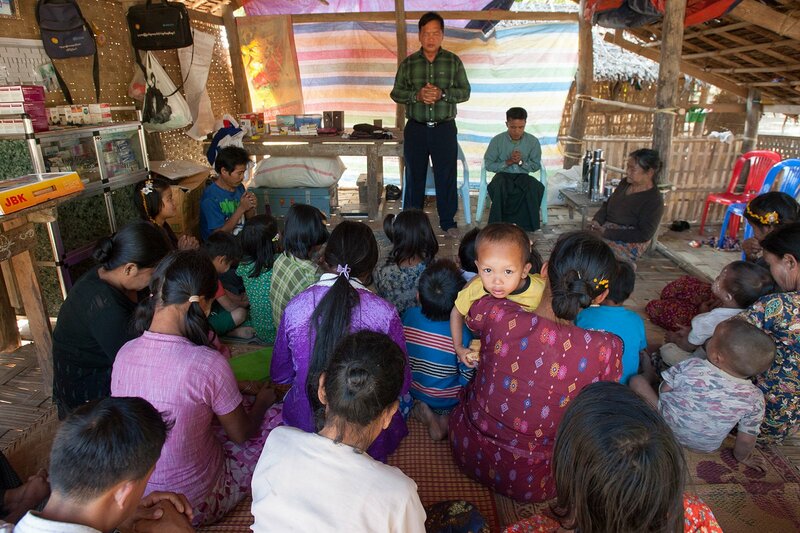 Pastor Myo Zaw has been able to display Christ’s merciful love to many he has met on the waters. 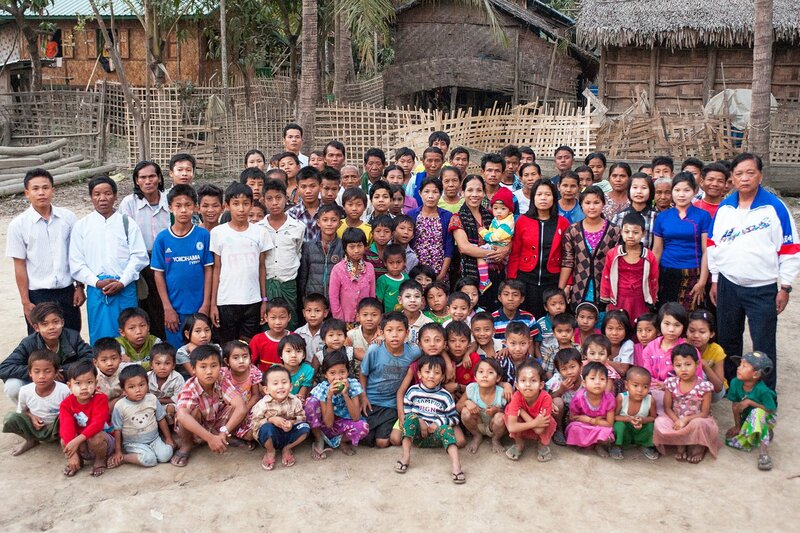 Pastor Myo Zaw travels two to three hours by boat to visit this fellowship of believers. The Lord transformed their lives after they discovered He is the Living God who gave His Son so they may have everlasting life. 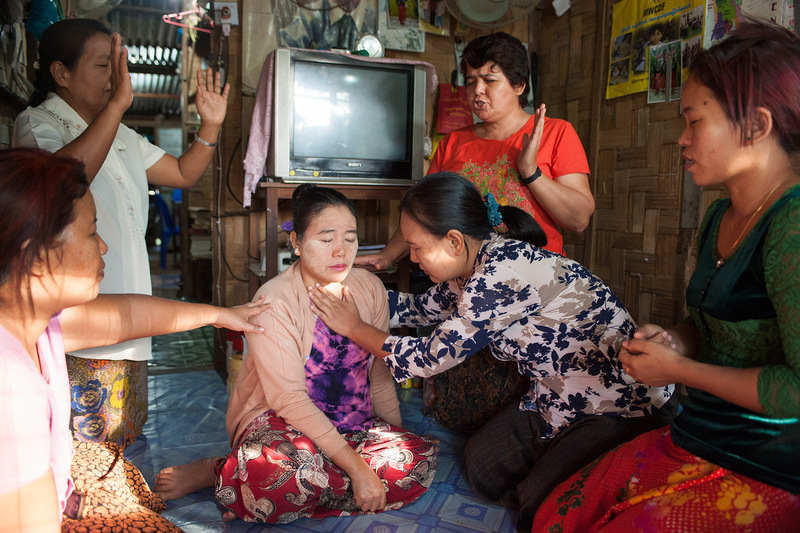 As people see the love of Christ displayed in His servant and come to understand His grace and mercy, many people in Myo Zaw’s region are finding new life. These children are part of a Sunday School that Shway leads. 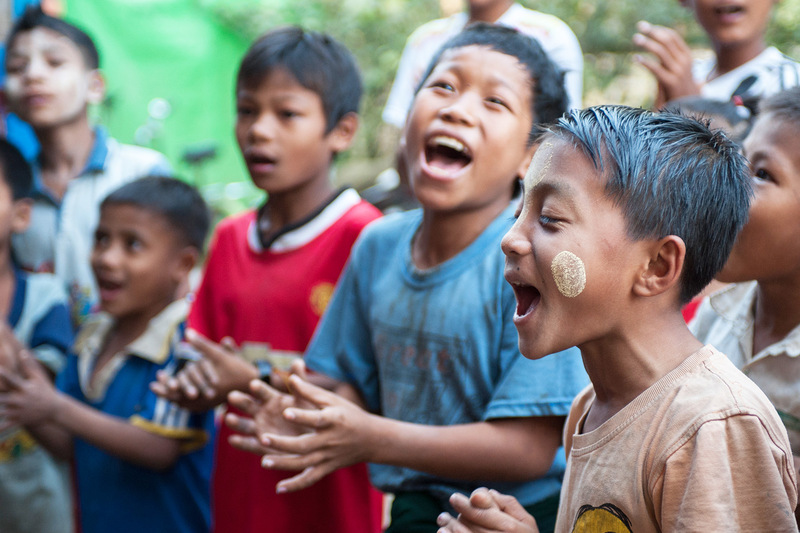 They exuberantly sing songs about the Lord and enjoy learning about Jesus and His redemptive love. Nothing can contain the Spirit’s love that dwells within Pastor Myo Zaw. He freely gives what he’s been given in the Lord so others can have the new life he has in Christ. 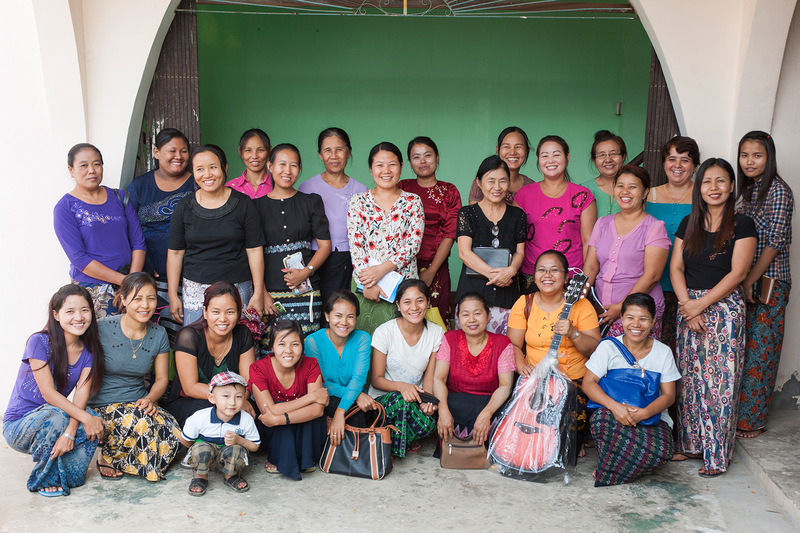 Meet Mima and the women who are part of her Women’s Fellowship group.  They and many other women across their country make it a priority to raise funds to help their church and the kingdom. Meet Mima (the one standing up on the very left, wearing a purple shirt) and the women who are part of her Women’s Fellowship group. They and many other women across their country make it a priority to raise funds to help their church and the kingdom. Here they are making liquid detergent to sell to people in their community. These sisters in Christ have fun as they work together to support their church. 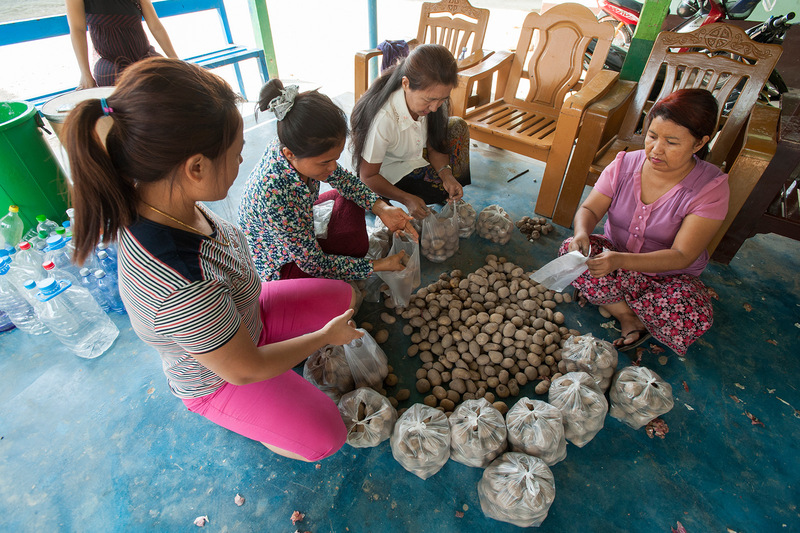 Selling vegetables like potatoes, onions and garlic is part of their fundraising activities. Through their sacrifice, the women from this Women’s Fellowship group have been able to support these three Bible college students. Another way they help the church is by setting aside handfuls of rice every day so it can later be given to help those who are poor and hungry. Mima and the ladies in her Women’s Fellowship meet often to encourage each other and learn from God’s Word. They also take time to pray for one another and visit each other in their homes.